for expressing their love for the Viola! why didn't you buy a purple umbrella ;)?? I met there my cousin Andrea and his wife Daniela!!!!! (she supports Juve..shhht..... ;)) and in the end, no matter the rain, it was a super afternoon. the Florentia shirt...we couldn't use the purple.. But next year.. we can go back with it!!!!!! 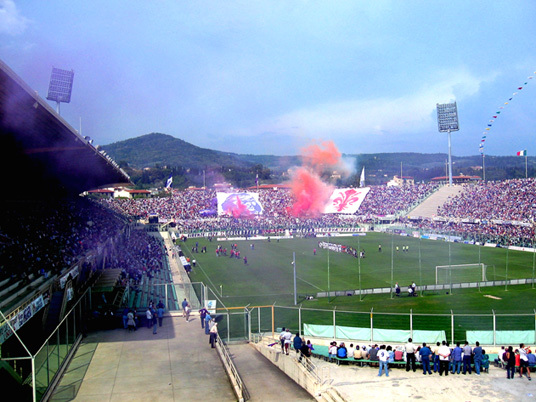 FIORENTINA is back!!!! For me, football is like poetry. I love all about it, ban the stupidity and the violence. But that's not belongin to football anyway. 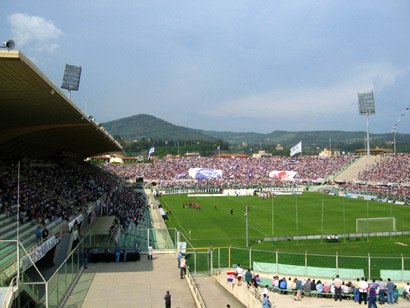 I hope our Fiorentina will be soon in Major League. 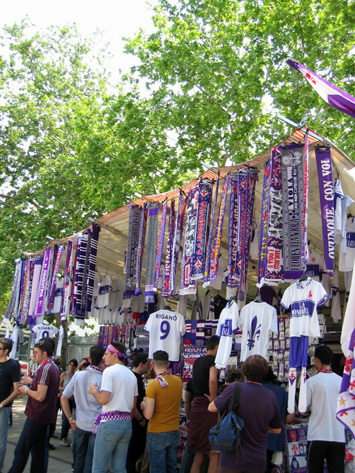 I am no hater of any other team (not even Juventus ;)): I just love my town, and I like if the Purple colour will soon be back where it belongs.